Today I met a great group of people who rendezvous at the Headway Hotel in Morecambe for a business networking meeting. 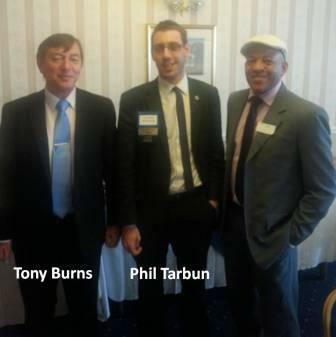 I was the guest of Phil Tarbun (Chartered Accountant & Business Advisors). Phil introduced me to several of his associates. It’s not unusual for me to receive requests to link up after attending a network meeting. What is unusual is to receive a ‘personalised request’ to be included into someone’s profession contacts. Tony Burns’s personalised message had the effect of further reinforcing my initial positive thoughts about him. To grow your business, through networking or Referral marketing. First you have to ‘sell yourself’ to a fellow networker and of course ‘buy them’ – Commonly referred to as getting to Know, Like and Trust. The aim is to help the networker to become an advocate of you and your business. Your advocate will then promote you to their contacts at every opportunity that presents itself – how cool is that? Tony demonstrated that he had listened and understood me and then took the time to write me a personal message to join his professional network. Is this something that you do to build your business network and produce advocates? :I’d like to add you to my professional network. This entry was posted in UK Chip & PIN Ltd. by Cornel Sampson. Bookmark the permalink.